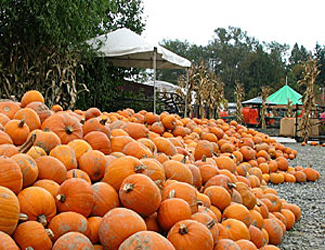 Fall Pumpkin Harvest Festival begins late September and runs through late October. Weekends only, Saturday and Sunday 10am-6pm. Ripe and ready and just in time for our Fall Harvest Pumpkin Festival our Pumpkin U-Pick fields will be open every weekend from 10am to 6pm until Halloween. Additionally, the U-Pick fields will be open every Friday from 10am to 4pm.